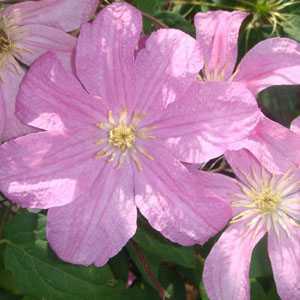 Clematis Comtesse de Bouchard is a late flowering clematis. It is adorned with stunning mauve pink flowers and dark green foliage. RHS Award of Garden Merit.